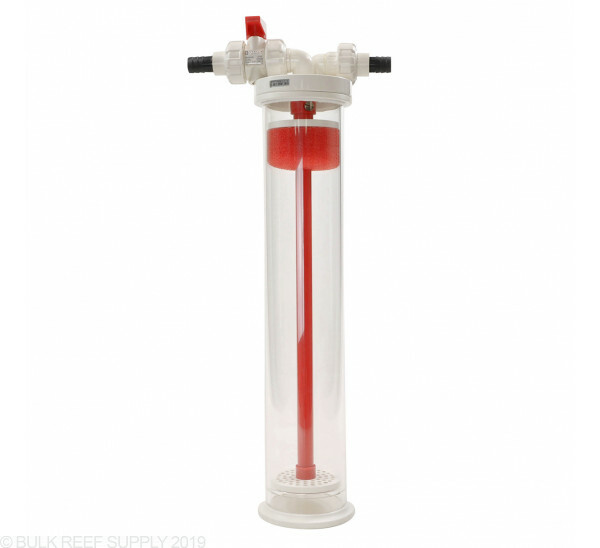 The Vertex Rx-U 2.0L Universal Media Reactor combines great performance for crystal clear results with solid construction, ease of use and easy maintenance. 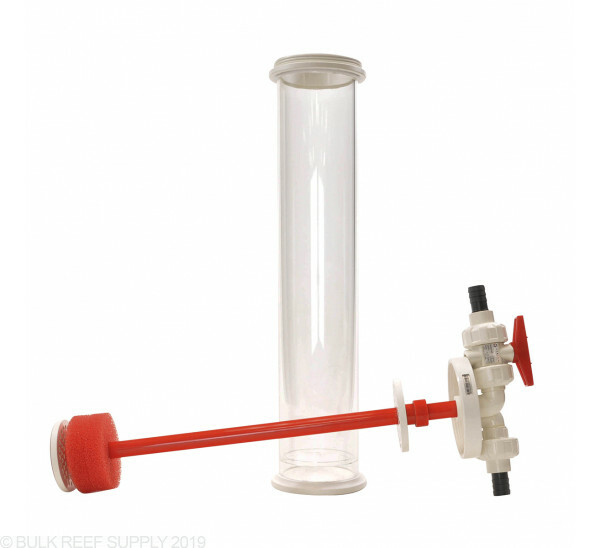 Vertex Rx-U 2.0L Universal Media Reactor eliminates the problem of media compaction by giving complete control of flow-through to the user. These universal reactors are designed for inline, hard-plumbed applications and/or remote, soft-hose applications. nice build but the 2 elbows on top will always leak - move them the wrong way it will leak. 1. The hose barbs included are 3/4". I had to go get hose adapters to convert from 1/2" to 3/4" (I wasn't about to try running 3/4" vinyl tubing to/from the reactor). 2. The foam pads are too course. You can't use them with BRS ROX carbon, the carbon just flows right through the foam and ends up in your tank. Once I got the hose adapters, and cut out some finer foam pads to replace the Vertex pads, the reactor is working just fine. Build quality seems good. If I had to do it over again, I'd save the money and get a BRS or TLF reactor. Should I let my cabron tumble in this or fill it full so it doesn't move? We would not recommend letting carbon tumble in any media reactor as the soft material will grind itself into dust over time. It would be best to only use the recommended amount of carbon based on your tanks water volume and sandwiching the carbon between the included sponges at the top of the reactor. Carbon has very small pores that can clog quickly and using more than the recommended amount of media would not give you more effective filtration over time. The upward flow will keep the media at the top and the sponges will help prevent tumbling. You can use our media calculator to find the recommended amount for your tank. If you have any other questions, let us know.